announced Thursday September 27 as the new date for a rerun after Saturday’s inconclusive Osun State governorship election. 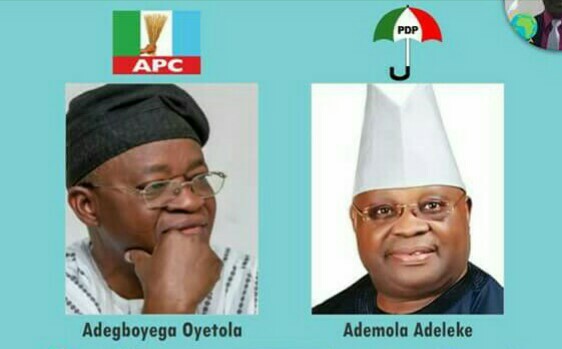 Announcing the results on Sunday afternoon, Joseph Afuwape, INEC’s Returning Officer, had said Ademola Adeleke, candidate of the Peoples Democratic Party (PDP), polled254,699, while his closest challenger, Isiaka Oyetola of the All Progressives Congress (APC) had 254,345 votes. Since the total number of cancelled votes (3,486) exceeds the difference between the two leading parties (353), Afuwape said it was impossible for him to declare any party as winner.